Gamers can now take their gaming experience into a whole new level of fun with the all new PLAYPARK App that offers games, social activities, and real-time news and promotions right at your fingertips. 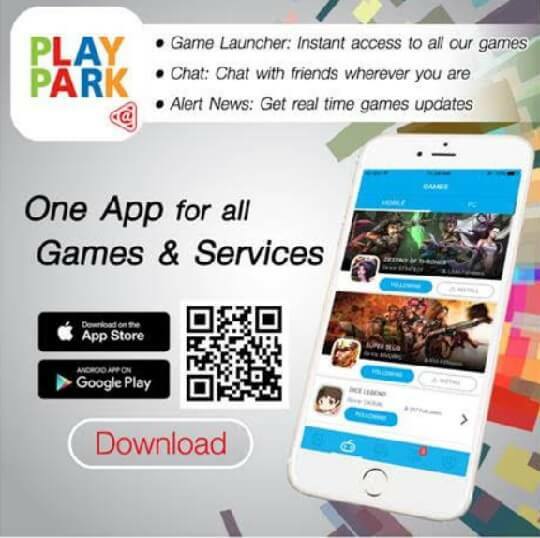 With over 43 million users across Southeast Asia, PlayPark has announced the benefits of having their app, which include Integrated Game Library and Launcher, Chat Messaging, and News Alert. Users no longer have to line or sign-up to get exciting new games, as the app gives them an instant access to the latest games ranging from strategy, role-playing, action, adventure, MOBA, and more. Also, gamers can find and make new friends with its instant messaging feature. Aside from these, users will have real-time notifications on the latest news and development of their favorite PC and mobile games. Meanwhile, to unlock more exciting features and benefits, make sure that you have your free PlayID. The PLAYPARK App is now available for free on both iOS and Android.